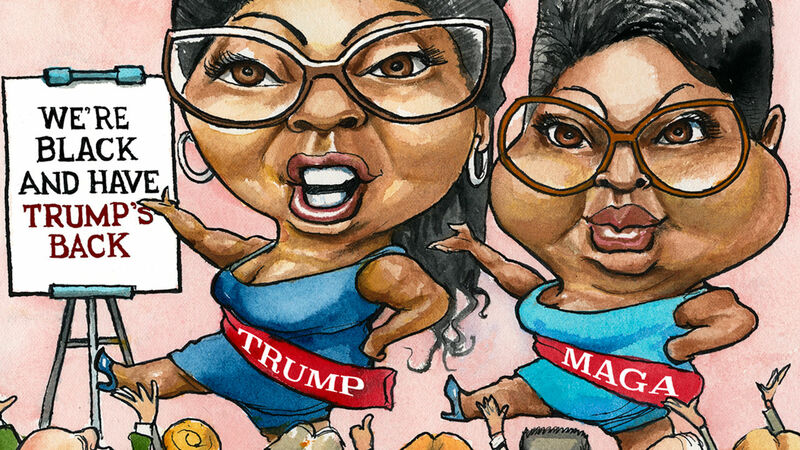 More black Americans are supporting President Trump, and they’re not all Republicans. Sporting a red baseball cap with Trump’s campaign slogan, “Make America Great Again,” Dennis Rodman, a former Chicago Bulls basketball player with five NBA championship rings, expressed his support for President Trump in Singapore during the historic summit with North Korean leader Kim Jong Un. He wept during an interview with CNN as he praised both men and said he was “so happy” that they had started the peace process. 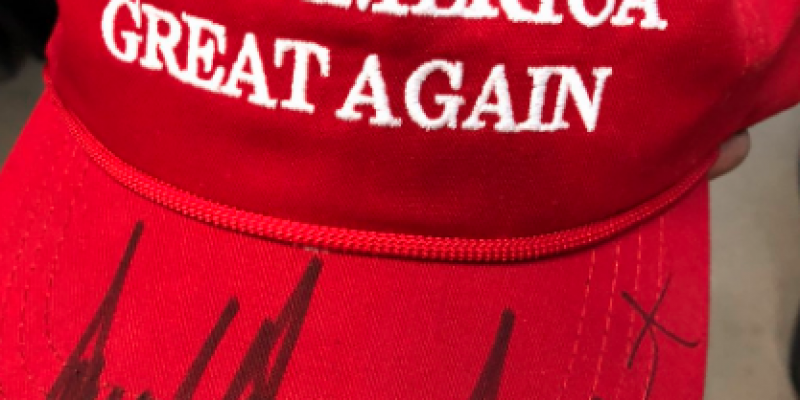 Then there’s Kanye West who tweeted a picture of himself wearing a signed MAGA hat and who called Trump “his brother” in response to critics who berated him for supporting Trump. Other black celebrities Steve Harvey, a comedian and talk and game show host, and former football stars Ray Lewis and Jim Brown, were all photographed at Trump Tower days after Trump won the 2016 Election. And Harvey was a Clinton supporter. Now he’s not. There’s also the popular YouTubers Diamond and Silk, North Carolina sisters Lynette Hardaway and Rochelle Richardson, who are outspoken Trump supporters. 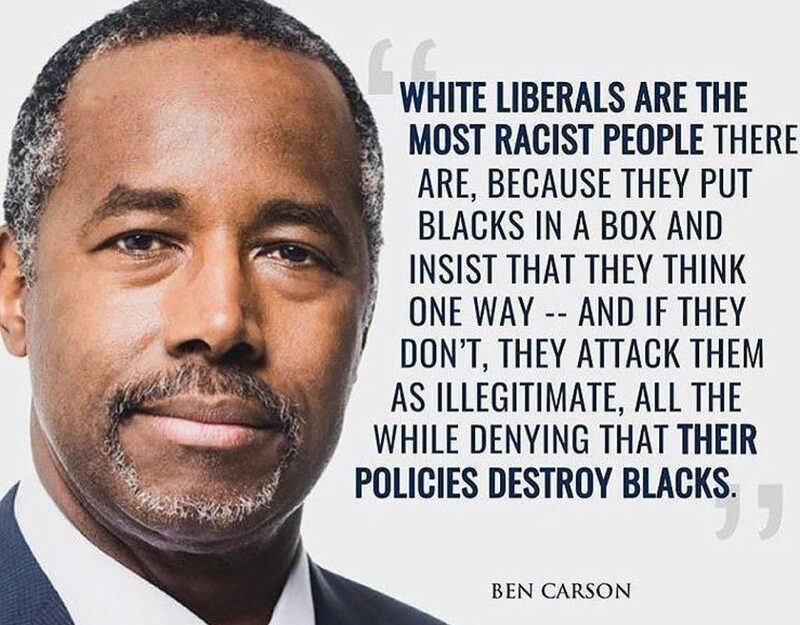 Trump’s Secretary of Housing and Urban Development, Ben Carson, is not only black but is a world renowned pediatric neurosurgeon who grew up in the projects. 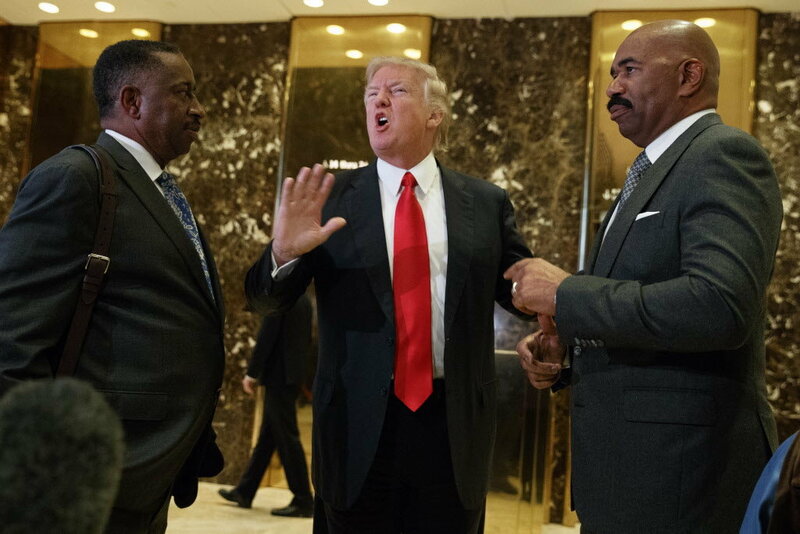 Robert Johnson, BET founder, has repeatedly pointed out the benefits to blacks from Trump’s economy. Black voter approval ratings of Trump are up. Black unemployment is at an historic low. Not to mention the countless number of people who make up the social movement of Blacks for Trump. Or the black pastors who’ve lived in Democratic cities and previously voted for Democrats who are now Trump supporters.